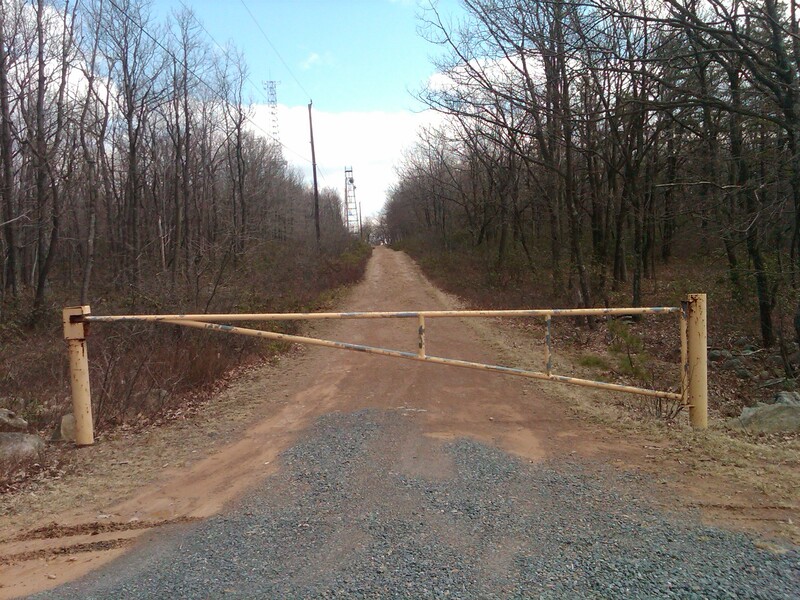 I attempted to do a SOTA activation today, my second attempt, and I failed again. Last time I didn’t make any contacts (despite calling CQ on several bands endlessly) and to add insult to injury my cook stove malfunctioned so I couldn’t cook lunch. This afternoon I went out on a spur of the moment thing and realized when I got to the site that I forgot my battery. I looked through the Jeep to find something I could MacGyver and only came up with a laptop battery, but I didn’t have a voltmeter along to figure what pins were what. However all was not lost. 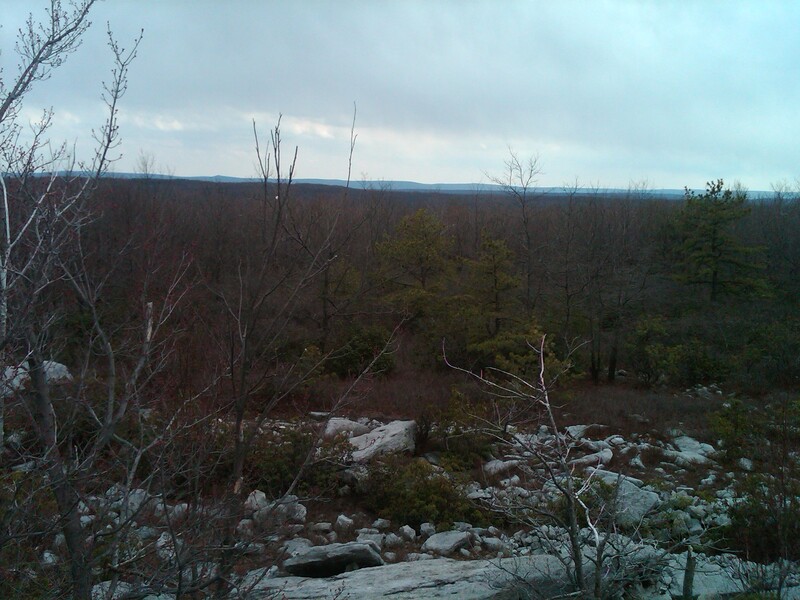 I got to hike up to the site and muck about as they say, go four wheeling with the Jeep through some nearby mudholes, and then take another hike to one of my favorite spots in Pennsylvania. Perhaps the third SOTA activation try will be a charm. One of the two towers near the site. 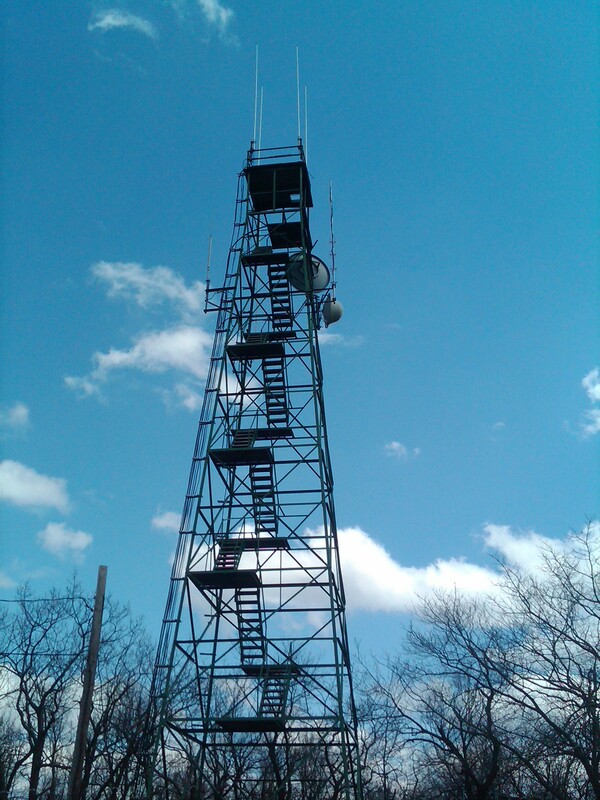 This is an old firetower now used by Carbon County, PA. The cabin at the top was removed. 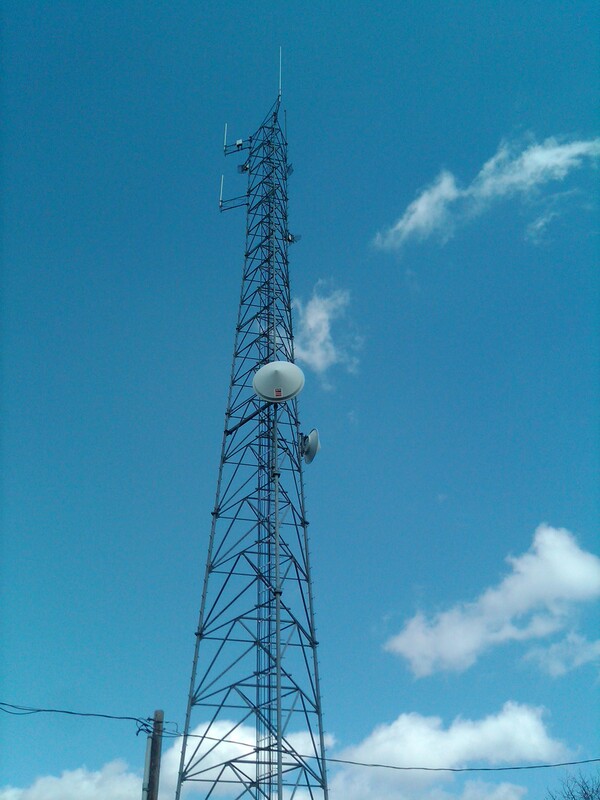 The other tower at the site owned by State of Pennsylvania. Well built, though a bit bland by radio artisan standards. Hey Anthony…congrats on the effort! Because I have left behind too many critical pieces for my qrp outings, I now “stage” everything on my living room floor. I connect everything, actually turn-on the radio which then prompts me to check battery voltage (no discharged batteries…been there!). I stage the antenna, coax, all my connectors, etc. You get the point. I also take a small McGUYver box of critical parts for when I drop something. This process has caught many a potential problem before I discovered it in the field. Good luck on the SOTA activations!